Stephanie Mitchell began her insurance career in 2009 after earning a degree in multinational business from Florida State University. Over the next five years, she worked as a P&C broker while earning CPCU and CIC designations. In 2014, Mitchell joined Socius Insurance Services as assistant vice president, specializing in placing excess & surplus lines property, casualty and environmental business. Two years ago, Mitchell received the Socius Award for Outstanding Salesmanship, and last year, her team was recognized with the Socius Award for Outstanding Sales Team. 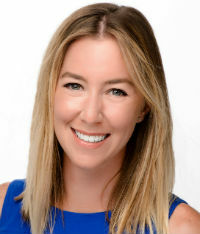 Outside of the office, she is a member of the Insurance Agents of Tampa Bay, the Pinellas Association of Independent Agents and the Lee County Association of Independent Insurance Agents.